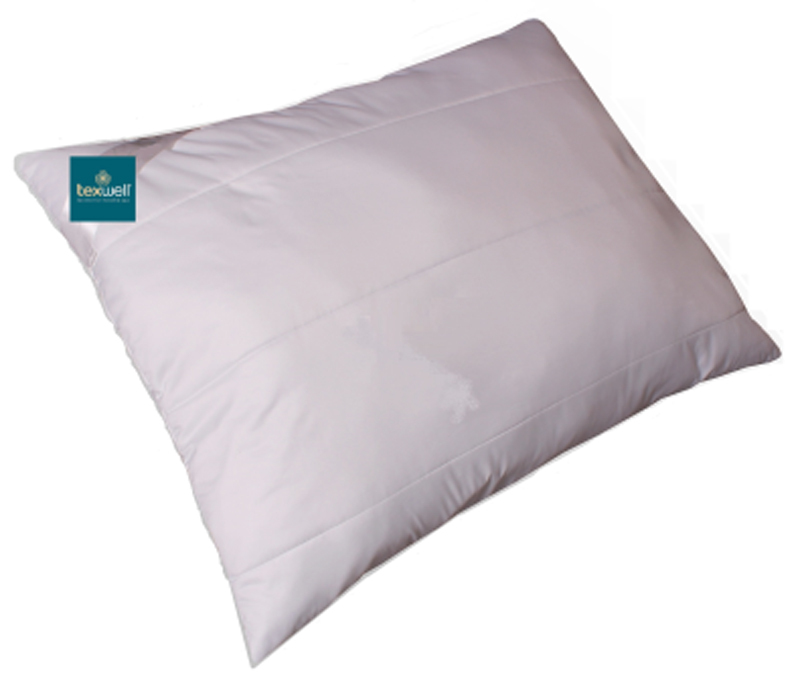 The stuffing makes the pillow airy and ensures zero flattening. 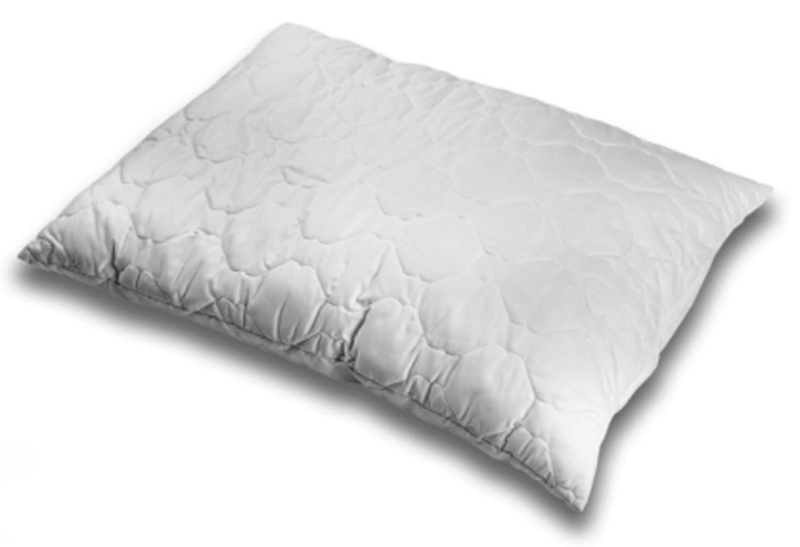 The comfort of the pillow is created by the inner case that allows better hygiene – it is possible to wash the case separately. The duvet cover is made of 100% cotton and the stuffing is branded as hollow (conjugated) polyester fiber produced by the Irish Company WELLMAN. 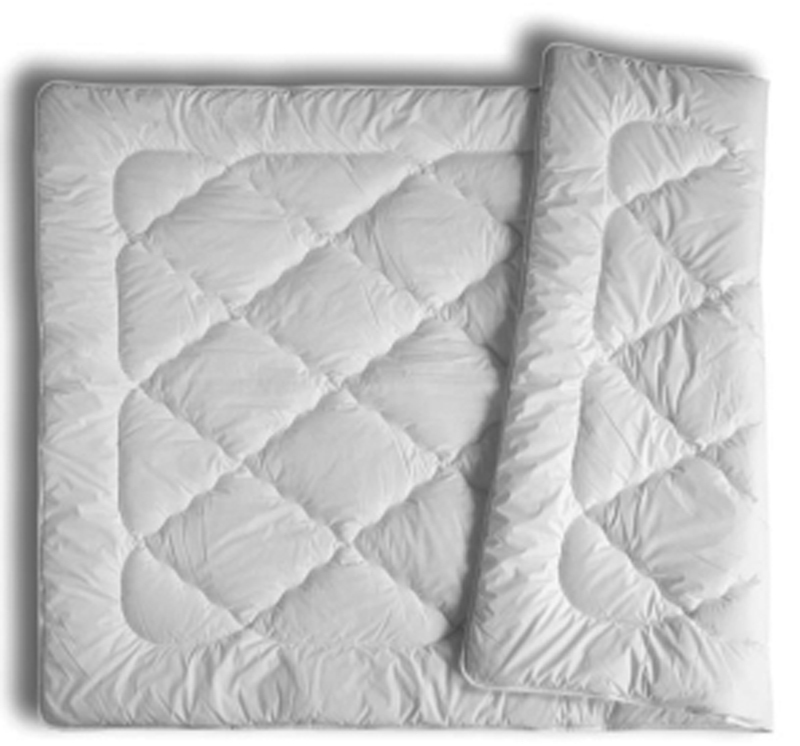 Due to its material structure and final fabrication, it is possible to wash the pillow and the duvet at up to the temperature of 95°C, so the complete elimination of mites and 100% hygiene of bed are guaranteed. Can be used not only in households, but also in the public sector. 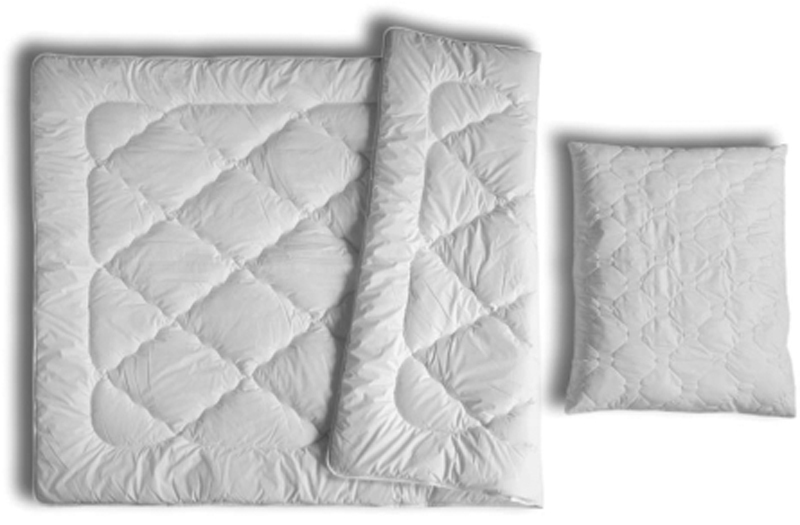 Duvet stuffing: made of 100% hollow polyester fiber in the form of fleece with long lifespan. 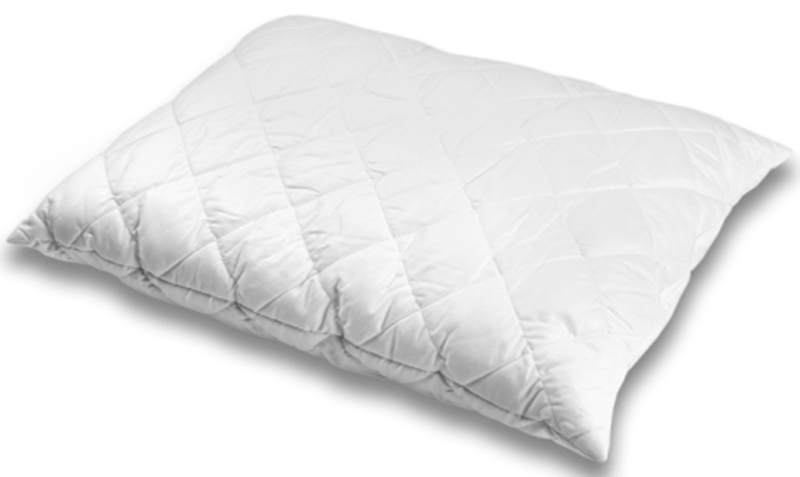 The stuffing makes the pillow airy and ensures zero flattening. 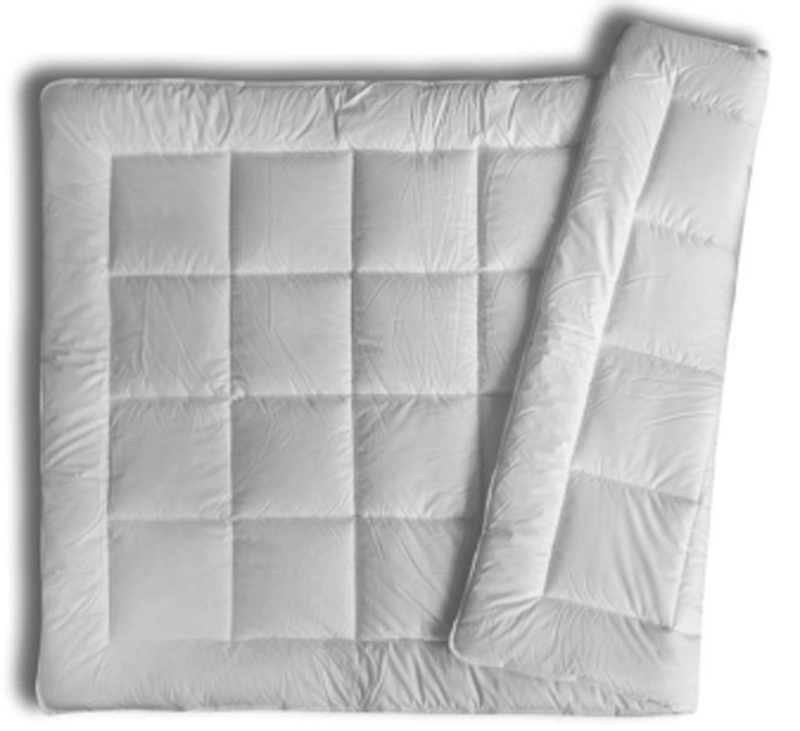 The comfort of the pillow is provided by the inner case that allows better hygiene, because it is possible to wash the case and pillowcase separately. The duvet cover is made of cotton and polyester mixture and the stuffing is branded as hollow (conjugated) polyester fiber produced by the Irish company WELLMAN. 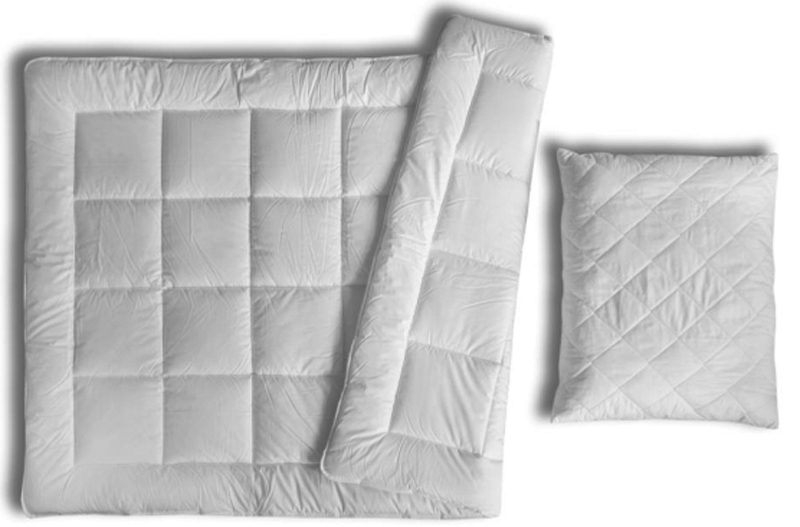 Due to its material structure and final fabrication it is possible to wash the pillow and the duvet at up to the temperature of 95°C, so the complete elimination of mites and 100% hygiene of bed are guaranteed. Can be used not only in households, but also in the public sector. This range has very good antiallergic features thanks to the use of synthetic and can be washed at up to 95°C.